Wizards Kingdom Nigerian Movie [Part 1] is showing on NMN. Starring Eve Esin, Bobby Ogoloma, Junior Pope, Nuella Njubigbo, Chinwe Owoh, Biola Ige, Enerst Asuzu, among others. The movie came out few years ago. Watch and Share. Movie Storyline: The devil is not always happy seeing that human are living peace so he uses his agent to cause havoc everywhere, in school, in the family, and everywhere that peace is found. When he wants to do that he uses people that are closer to us. What will we do when he has come to us? Watch out!!! 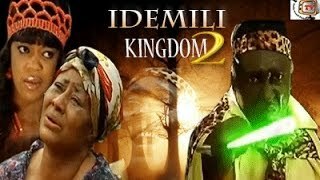 Note that, Wizard Kingdom is the prequel to Evil Princess Nigerian Movie.